With the Chain Reaction challenge right around the corner we had the privilege of receiving a visit from two riders who will be taking on the challenge next week. 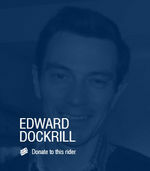 An elite group of passionate cyclists will endure 1000kms over 7days to raise funds for charity. Included in the supported charities is TAD’s Freedom Wheels program. 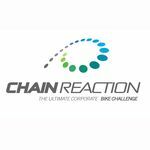 Edward Dockrill and Andrew Crawford will be taking on the Chain Reaction bike challenge commencing on the 14th of May in Far North Queensland. Earlier this week they were able to meet with Dylan and his mum Melinda who came into TAD for a Freedom Wheels assessment. Dylan is a cheerful and friendly 12 year old who lacks the balance and stability for a standard bike due to a brain tumour. While Dylan tried our Freedom Wheels bikes our Chain Reaction riders Edward, Andrew and TAD Director Camilla Love were able to develop an understanding of the process behind an assessment and how each bike is uniquely tailored to each child. 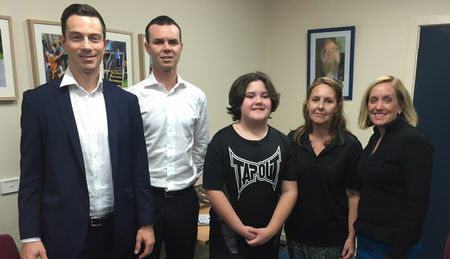 With their help TAD is being recognised by the Chain Reaction foundation as a supported charity. 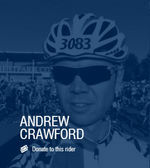 If you would like to help Edward or Andrew raise funds for kids in need follow the links below to their Chain Reaction rider profiles.